Chris Munns is a Principal Developer Advocate for Serverless Applications at Amazon Web Services based in New York City. Chris works with AWS's developer customers to understand how serverless technologies can drastically change the way they think about building and running applications at potentially massive scale with minimal administration overhead. 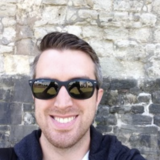 Prior to this role, Chris was the global Business Development Manager for DevOps at AWS, spent a few years as a Solutions Architect at AWS, and has held senior operations engineering posts at Etsy, Meetup, and other NYC based startups. Chris has a Bachelor of Science in Applied Networking and System Administration from the Rochester Institute of Technology.